3) Use third party resources (don't be the expert). 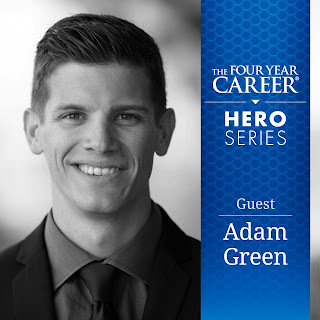 Most network marketing gurus will tell you to lead with the business or product and business together, but not Adam. Adam believes we have the best products in the industry and that everyone can benefit from them, so 99% of the time he leads with the product. If it is just about making money, there are other businesses out there. Young Living has always had nice steady, consistent growth because we retain most of our customers. 90% of our members are solely interested in having access to the best essential oils on the planet. Adam believes that if you lead with the product you build a healthier ‘bullet proof’ organization. Why? Because if you invest your time in serving enthusiastic product users (which is why follow-up care calls are so important), it is a more organic process to turn happy product users into business builders, than vice versa. Having said that, Adam then quotes another expert who says, “Lead with common sense,” which means - listen and ask questions before you launch into your spiel. Be a problem solver not a sales record. If someone is interested in making money, lead with the business opportunity. In the beginning we have to find new members any way possible: one-on-one, trade shows, hosting our own classes, Facebook, Skype, etc. Adam Green did a lot of trade shows during his first year, full-time. Once he had new members he asked them to host a party at their home with all their friends. Fun! The member invites 10-30 of her friends for an intro class. 5-10 people are able to come. All new sign-ups go under the enrollment and sponsorship of the hostess. One month later she gets a check in the mail for $400 and asks you what it is about. You now have the opportunity to set up a one-on-one with her to go over the opportunity and compensation plan. Adam says that 95% of his business builders said they were not interested in doing Young Living as a business, at first. Once they start using the products every day, hosted a party, and understood the income opportunity, many changed their minds. Katy and I had a lot of success with this method in our first year. We rarely hosted our own classes and the parties that were at other people’s houses were largely more successful than our own. The only reason we switched is because we started using the Heart Centered Sharing System. I thought HCS is what Green used too, but I see know that he just borrowed some of the best ideas of HCS. The Heart Centered Sharing System served us very well, and I have no regrets. We needed a System and HCS was 1000% better than what we had, which was no system at all. In fact, I think we should still use many elements of the HCS system until we figure out Adam Green’s whole system. What Katy and I are going to shift is our focus from hosting several classes monthly in our own home to inviting members to host their own classes. Katy will then travel to give the presentations. Katy did a class like this last night at a member’s home and it was very successful. There were about 10 ladies and only two did not sign-up with a membership but plan on buying a few things through the hostess; plus, several of the ladies are interested in hosting their own parties in the next few months. If we don’t have a system in place for our potential builders and are not working the system ourselves, we will not see much growth in our organizations. We lead by example. But there is another important ingredient. Using third part resources (3PR) is key to creating a duplicable system. I will give two scenarios – both true stories. Example One: We know a very nice couple who has been sharing Young Living as a business for over 20 years and they are still at the rank of Silver. Here is what they did. They were super excited about the products they were using and decided to share them with some people. They went to several trainings and became experts in essential oils, massage, and other holistic modalities. 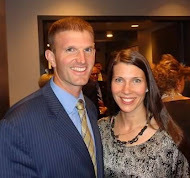 They opened a holistic health clinic and became health practitioners. They focused on fixing people’s health issues. They hosted classes at their clinic and in their own home. Their entire organization was dependent on them. They rarely did follow-up calls and didn’t take the time to master the skills of the network marketing profession. They still don’t have a clear system that they follow or that they plug people into. Example Two: Adam Green introduced people to Young Living in any way possible, at school, work, standing in line at the bank, trade shows, his parent’s home, etc. He read several books on leadership and network marketing, attended network marketing seminars and sought out mentors to train him in network marketing. In an ideal situation, third party resources (3PR) are utilized from the very beginning. A third party resources is a person you build up as the expert (you can be this person for your builders but not your own prospects), a book, DVD, audio, web-link, etc. A new member invites 20-30 of her friends over for a class given by Adam or one of his business builders (3PR) within a month or two of signing up herself. She is excited about how the products are benefiting her family and she wants to share them with her friends, but she has told Adam she is not interested in the business. Adam or his wife shows up to give the class and 10 are there, eager to learn about essential oils because their friend has been talking about how she uses them. The presenter (3PR) gives the class holding a script (3PR) written by an up-line ‘expert’ (3PR). The majority of questions fielded during the class are looked up in a resource book or guidebook (3PR) even if the presenter knows all the answers off the top of his head. If someone shows interest in the income opportunity, books, DVDs, audio presentations, and web-links (3PR) are available to explain everything she needs to know about the business. Expert network marketers are those familiar with the tools and resources of the business and how to share them. If this was helpful or if you have a question to spark discussion, please, leave a comment below! We are so glad you found it helpful. Keep up the good work, Percys. We will see you at the top!